The Roman Anglican: Sermon on Saint John the Baptist. 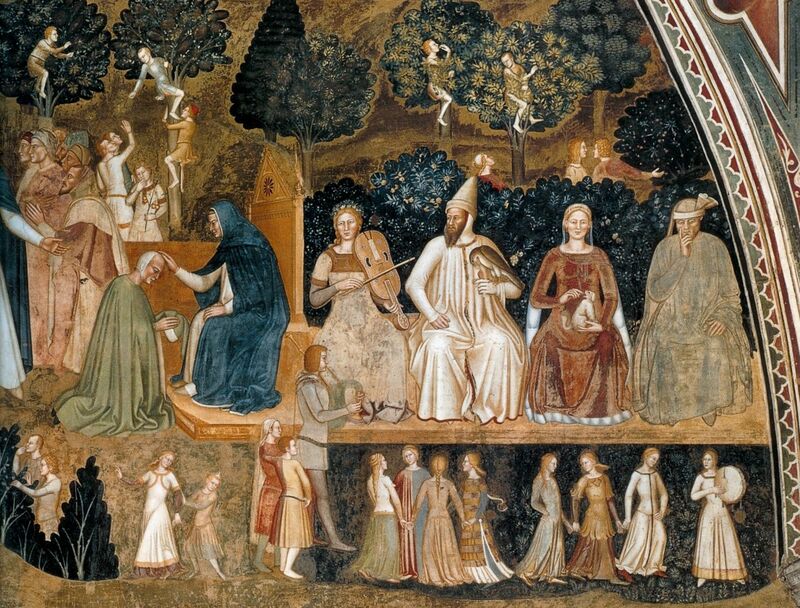 Sermon on Saint John the Baptist. Whether you are a visitor, a long time resident of this city of Rome or a Roman; you surely have noticed the beauty that this city has to offer, in its churches, frescoes, paintings, galleries, palazzos, gardens, bridges, even the food, anywhere! But sometimes, the most exciting, beautiful places hide some dark secrets. Surely not a surprise for a 2,700 years old city. Sometimes what seems ordinary can hide gruesome details! If you take a stroll not too far away from here and head towards the Spanish Steps area, you may end up in the not so exciting piazza of San Silvestro, named after a church that still stands there, if you keep walking heading north, on the Via del Gambero, you may notice a tiny door along the church’s wall; the small door leads to a little chapel guarded by a charming Gothic-revival screen that hides what looks like a reliquary, the rather large object houses a mummified skull, that supposedly belongs to Saint John the Baptist. 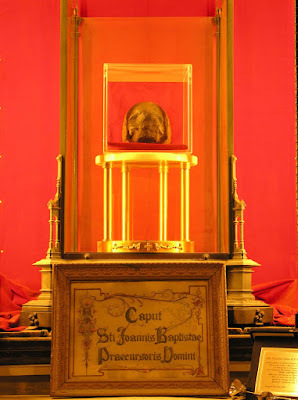 Surely, there are various skulls of Saint John, throughout the world, but the thought and faith is what counts, now the need of showing it openly, is something that we can talk about instead! But every time I pass by that alley, I reflect on a simple thought that comes to mind; are people walking outside, children eating gelato, adults holding hands, tourists doing some shopping, are they aware of this little, dark secret? Are they aware of how hard it is to be a Christian? To Fight the Good Fight? Today’s readings were, to say the least, quite unusual, sometimes the Word of God, isn’t easy to digest, isn’t it? First, Paul tells us of God’s infinite grace, shown in his son Jesus Christ, as tricky as this passage may seem, and surely throughout the centuries there have been extreme interpretations of these words, what really is the meaning is that God predestined all of mankind to be saved and the incarnation of his Son Jesus Christ, who redeemed us all in his sacrifice of blood and love, is its very sign. In love, he predestined us for adoption through Jesus Christ, in accordance with his pleasure and will - to the praise of his glorious grace which he has freely given us in the One he loves. In him we have redemption through his blood, the forgiveness of sins, in accordance with the riches of God’s grace. 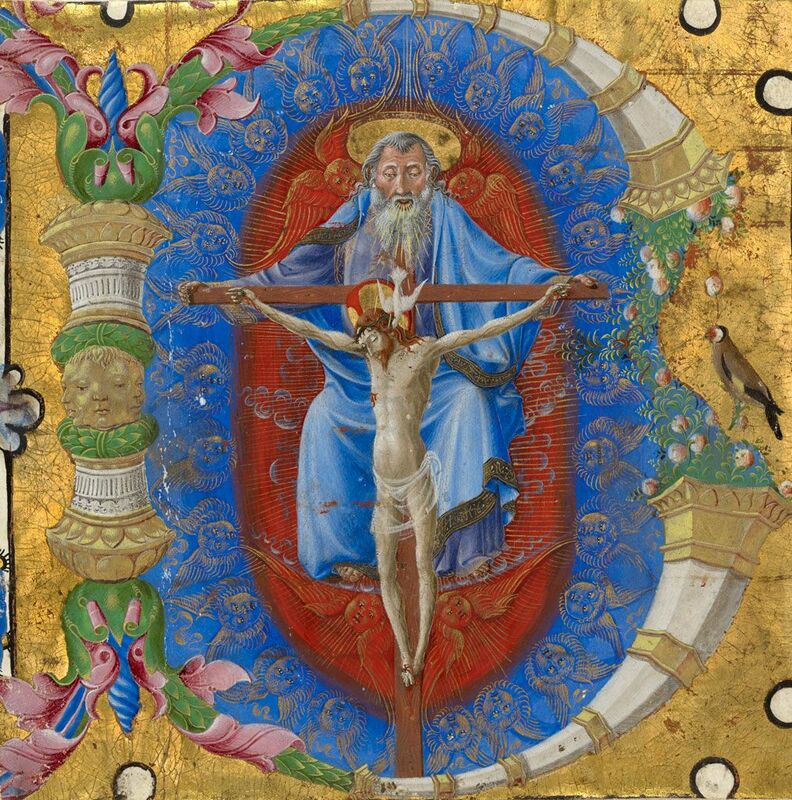 God who first revealed himself to the people he freed from Egypt, finally in his revelation to the world he made himself incarnate in order not to save someone, but to save all of humankind - in order to extend his salvific mission to everyone of us, denying that, would be denying the sacrifice of many. As Christians, Paul also gave us the key in order to make our communion with God stronger, in Ephesians he continues: and you were also included in Christ when you heard the message of truth, the Gospel of your salvation. When you believed you were marked in him with a seal, the promised Holy Spirit. It is by Christ we have been saved, with the grace of God, bestowed by the Holy Spirit, this holy and blessed Three, glorious Trinity, Wisdom, Love, Might; boundless as ocean’s tide, rolling in fullest pride, through the earth far and wide, let there be light. It is this Trinity, this mysterious communion of love that is God, one in three and three in one, that can save us, that can give us light. And we just have to understand and be thankful for such an act of love that transcends ages, time, space, the very limits of our universe and understanding of what surrounds us. If God, entrusted us with such a responsibility, if God believed we as creatures made in his own image, were to be worthy of the time to be considered for salvation we must take our faith and make it grow, we have to cultivate our daily thanksgiving to this boundless love, we must Fight the Good Fight. 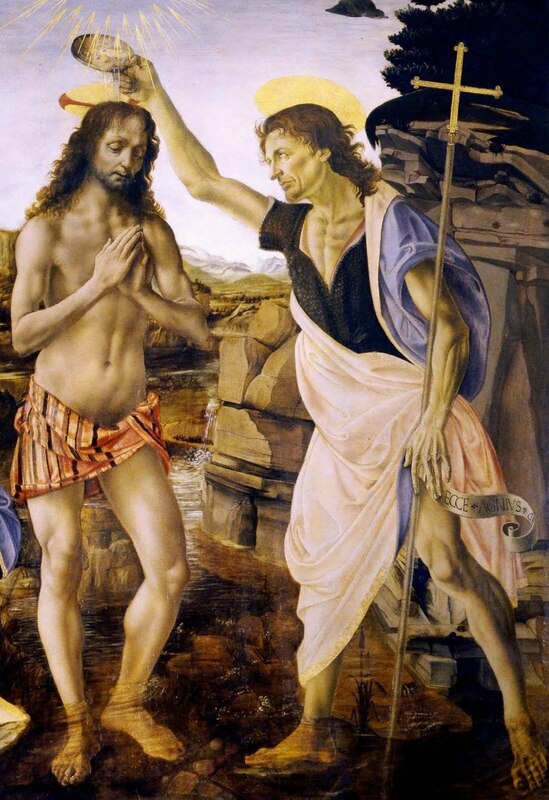 I have to say, I am partly thankful, that I managed to be here, when one of the most difficult Gospel readings from the Church’s year were to be read: the death of John the Baptist. Here in Rome and in Italy in general, as an art historian to be, I have always been fascinated by the spectacular Renaissance art works, that portrayed the Baptist as a little child playing with baby Jesus or as an adult baptising Jesus, even in England, the beautiful and yet simple Baptism of Christ by Piero della Francesca, in London’s National Gallery, truly holds a strong message, the message that this saintly man was chosen by Christ to baptise him, so that he could baptise everyone and open the kingdom of God to all believers, so that, that grace given to us by God could really make its way among us. 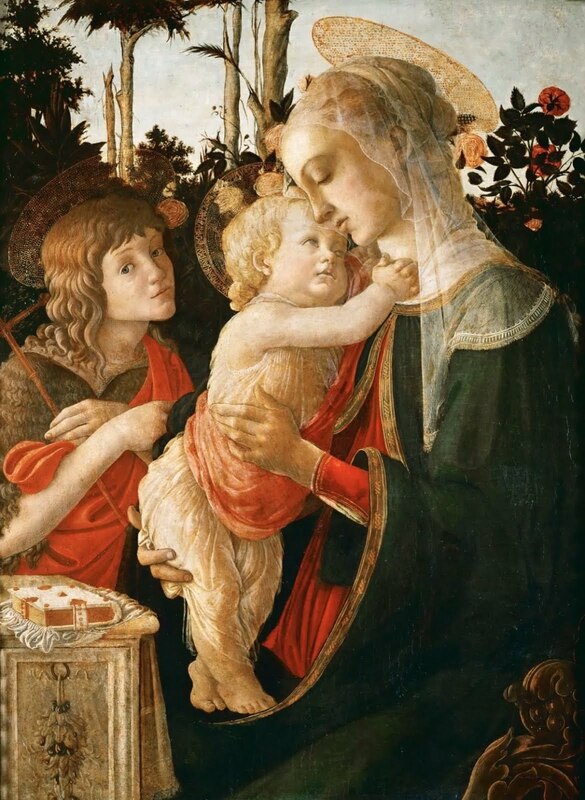 It is no surprise that our Muslim sisters and brothers in the faith regard the Baptist as an important prophet that announced the coming of Christ, there is even an ancient Middle Eastern tradition within Judaism that sees the Baptist as a reincarnation of the prophet Elijah, as our Gospel today also states. As for the little relic in the tiny chapel near the Spanish Steps, hidden from the bustling life of this city, the Renaissance depictions of an adorable Baptist as a baby or as a humble preacher in the Baptism scenes, hide the fact that this holy man was slaughtered for having stood up to tyrants in order to follow his faith and God’s grace. If there is an example out there of how strong faith can be, that is it, the example of the first Christian! He taught us how to Fight the Good Fight. Sometimes, everyone of us feels too let down by God, I am the first, there are moments when there isn’t even anything serious going on and you’re just tired to pray, but not enough to watch some tv series or to eat a snack. Yet, the first Christian wasn’t afraid of standing up for God when he had to, does that mean we all have to be slaughtered? No! But I think it is important to be a living testimony of God’s love as Christians, to hold strong to his faith and to be good examples of human beings. People throughout the world still die for their faith or for human greed, even in more brutal ways than the Baptist, for the sole fanaticism or enjoyment of others, to Fight the Good Fight means to take conscience of this, to fight this and to try and make an impact on the world, in Jesus’ name! Faith is what saves us all, believing and God’s grace is what saves us, but what makes us whole is making this world a better place. We must Fight the Good Fight. Today we read of how as for Jesus, Herod was too afraid of killing John the Baptist, he was too afraid of laying a hand on someone who was carrying a testimony of faith that clearly made an impact on the monarch. 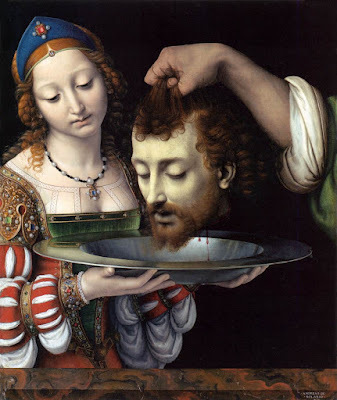 And yet, in order to follow his earthly promise, a promise requested by greed and jealousy, Herod agreed to the request: the head of John the Baptist, and so that was it. Do I feel as I should judge Herod for his decision? I am not sure. This decision is only up to God, but to be honest I do not feel like it. 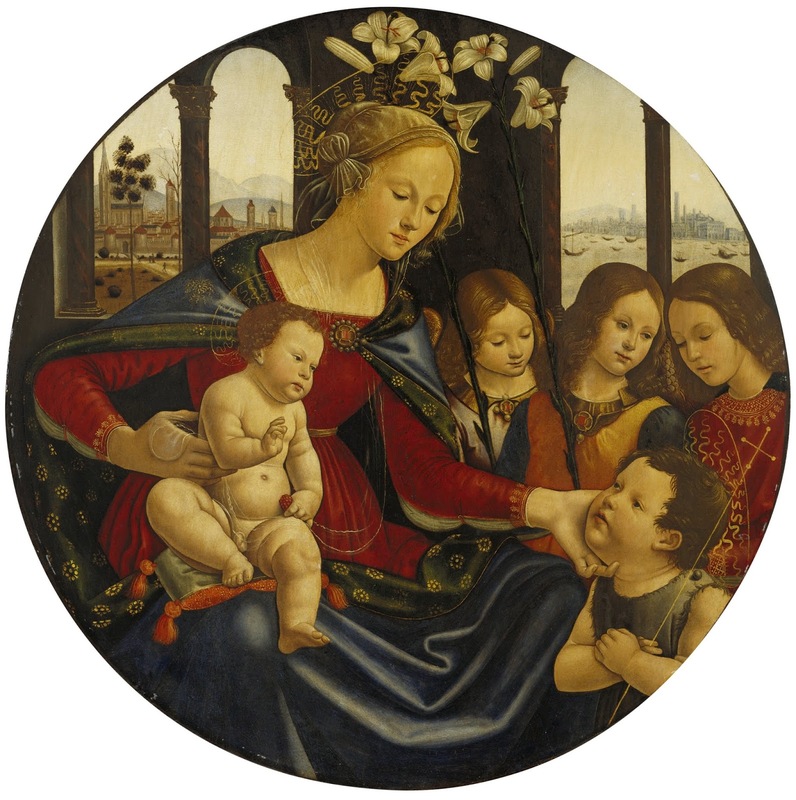 What if the little child eating gelato would find the gruesome head in San Silvestro? What if Herod had the courage to stand up to his pride, not make the mistake of agreeing to that promise, not offer to make any promise as a ruler with certain duties and responsibilities? What if we could stand up to the injustice we witness day by day? What if we could put our own interests aside and aim for the common good? What if we would Fight the Good Fight? It is not our duty to judge, for example the first Christian man, the Baptist, couldn't even sweeten Herod up; people make mistakes, though not as great as his perhaps, but at the very least, we should stop asking and asking, we should stop and think that perhaps it’s time to give, it’s time to be thankful, it’s time to forgive and not ask for anyone’s head on a platter. Why did the Baptist die? For his faith. For a common belief in Jesus Christ who died to save us all. We have incredible hardships to go through in our lives, we are all saints, and it is because of Christ’s incredible act of love that we know any hardship can be overcome. We have to have the courage to find what’s hidden, it may be much better than a mummified human skull. Let us be thankful in the Baptist’s sacrifice and testimony of faith, let us go out into the world with new eyes. The Baptist showed us that being a Christian is not easy, let us remember whenever we are feeling a bit under the weather, being us is not easy, but Jesus is always by our side and in our hearts. We simply have to Fight the Good Fight! The Tiber Island, a fascinating history. England's St. George's Flag: an Italian job. 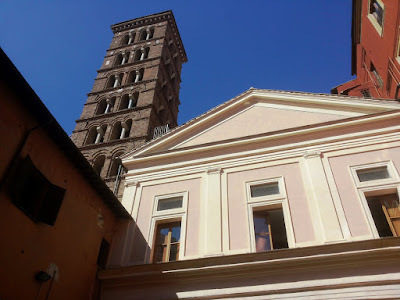 Holiness, history and wonder: a sermon by me.